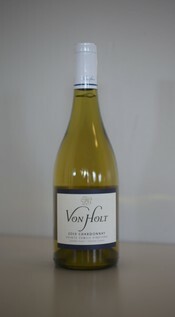 Von Holt Wines is an artisanal producer of Pinot Noir, Chardonnay, and Viognier from the coolest regions of the Sonoma Coast, Anderson Valley, and Lodi. in touch with us on Facebook! The only California wine chosen for Saveur 100's "Perfect Case of Wine", we are tremendously proud of this beautiful wine. The result of the perfect growing season and our earliest-ever pick, VHW's 2013 Heintz Family Vineyard Chardonnay was awarded 92 points by Wine Enthusiast. With notes of white flowers and lemon, the long-lasting finish on this Chard will be best enjoyed from 2015 to 2021.